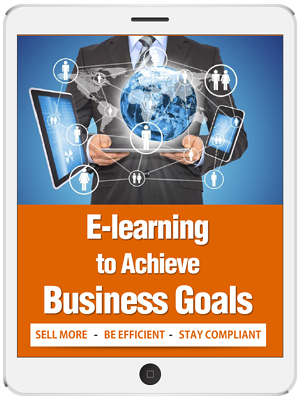 Want to Know How eLearning Helps Achieve Business Goals? In today's corporate world, all organizations have 3 main goals – sell more to increase profits, improve operational efficiencies, and stay compliant. With employees spread across the globe, eLearning has emerged as the optimal training medium to deal effectively with the limitations of classroom trainings. Our eBook will help you appreciate the ever increasing role of e-learning in helping organizations achieve their business goals in this present age of globalization and digitization.